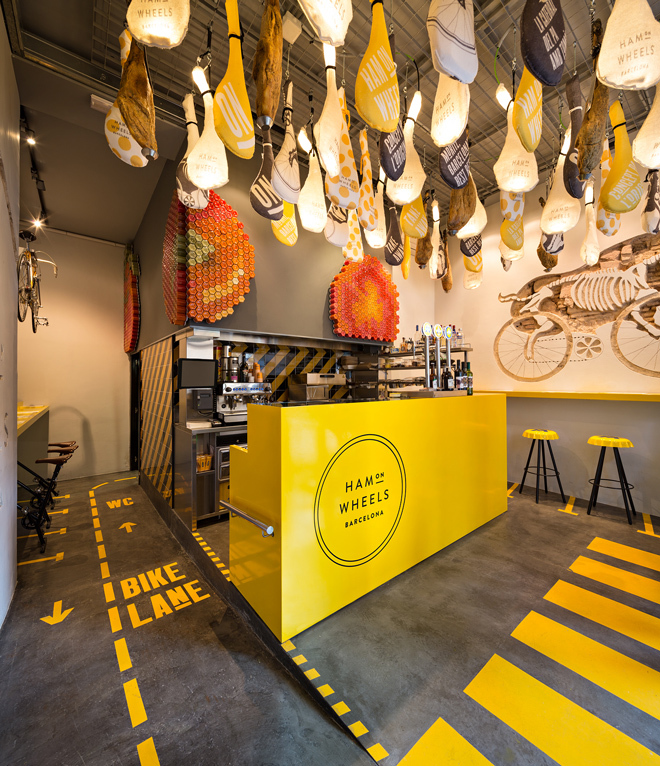 I even don’t know if it’s possible to find the interior which would meet the title so perfectly. 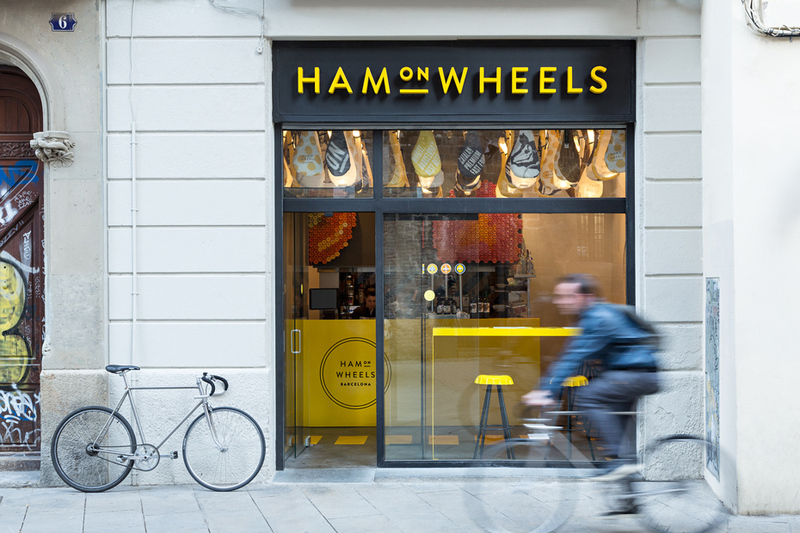 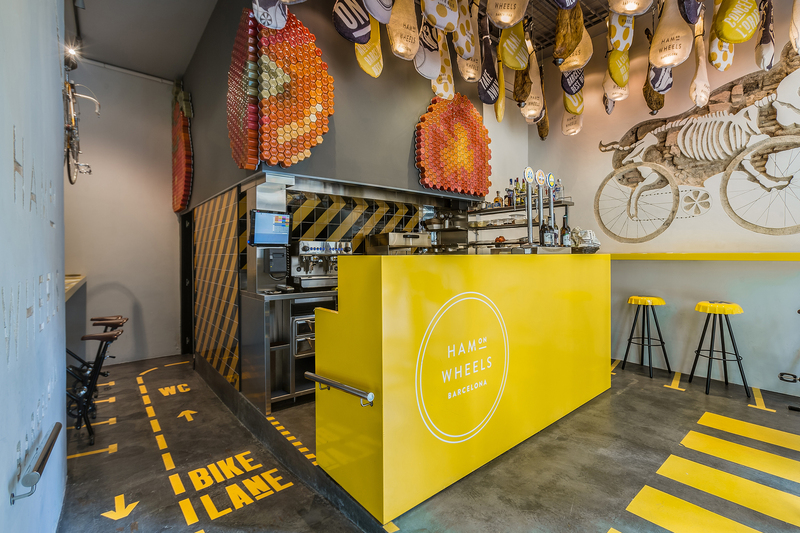 "Ham on wheels" restaurant is established in Barcelona, however, it would be perfectly adopted in Vilnius. 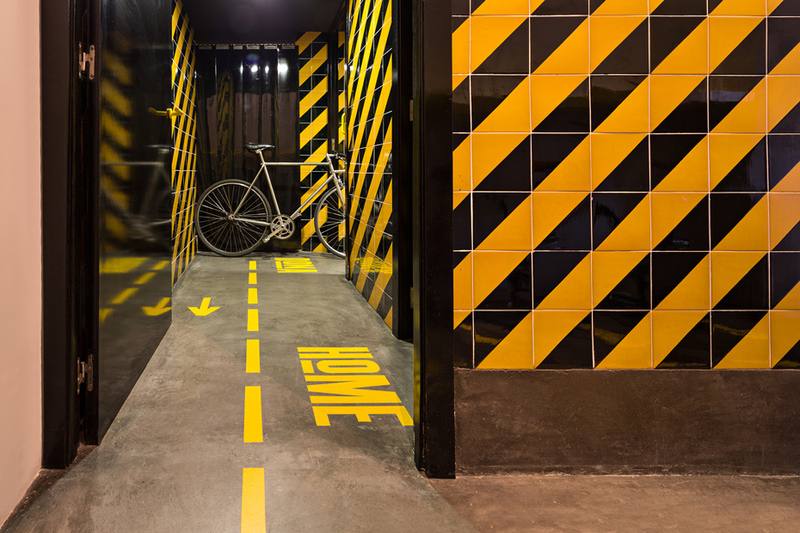 I even don’t know if it’s possible to find the interior which would meet the title so perfectly. 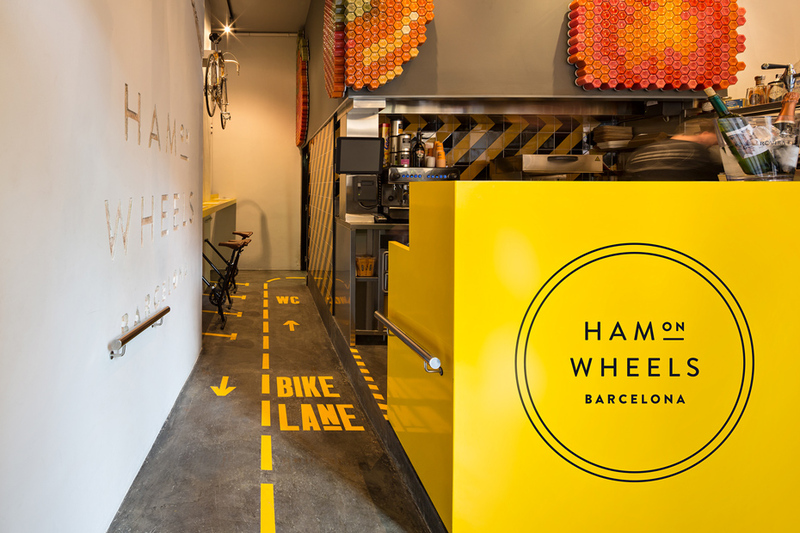 Ham on the wheels literally moves to the interior: on flooring, walls and ceiling. 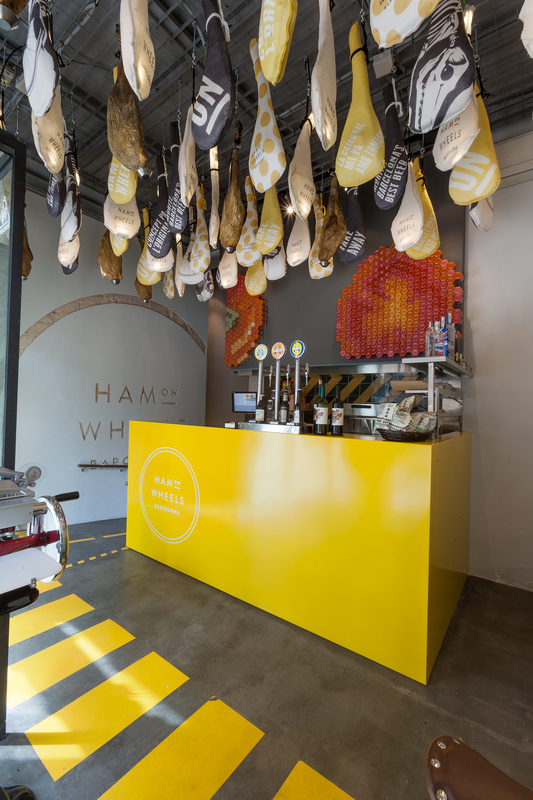 As architects tell, the most delicious ham is of such a pig which freely roams after natural surroundings. 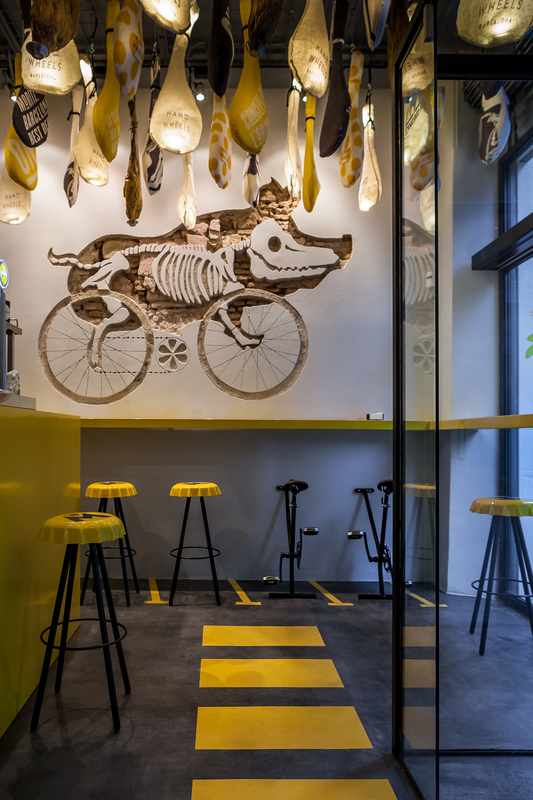 In mind they just imagined the pig that rides a bicycle (that gives even more charm), therefore, exactly such a view appeared on the wall, in addition, very fun and thorough! 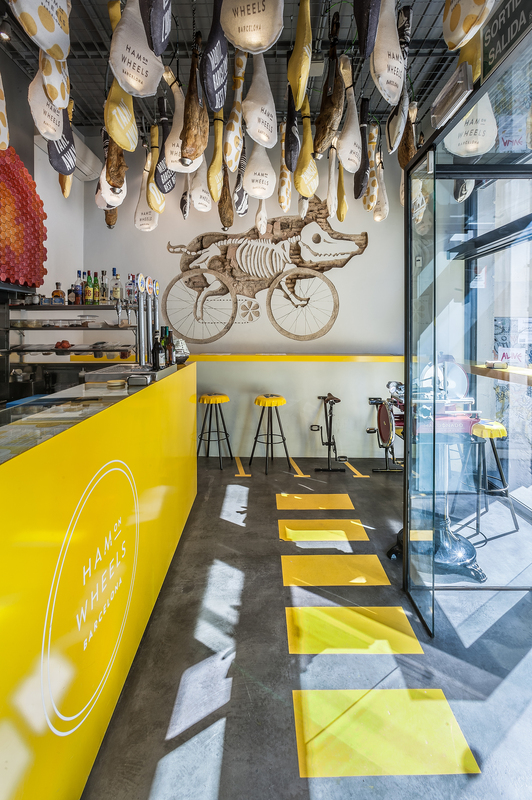 In this restaurant the ceiling is full of ham itself and it is wrapped in a very stylish textile, bicycles adapted for sitting and the whole flooring is dappled by graphics and trademarks. 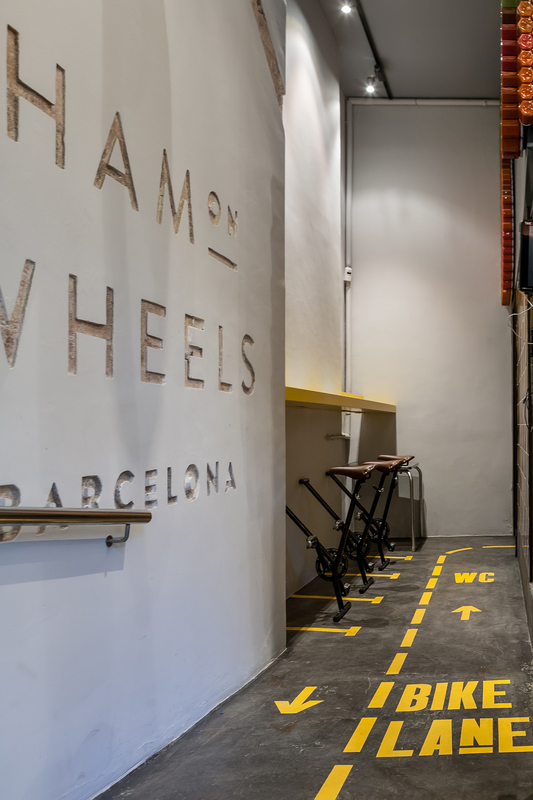 Since this restaurant is in Barcelona and tomatoes are also very important for Spanish people, tomatoes, rather usually used in one more dish appeared on the walls in hexagon shape jars where Spanish people can tomatoes. 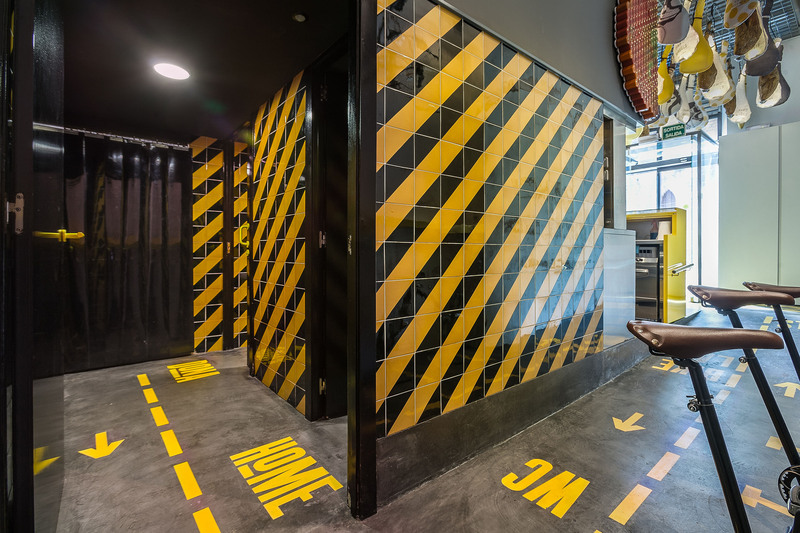 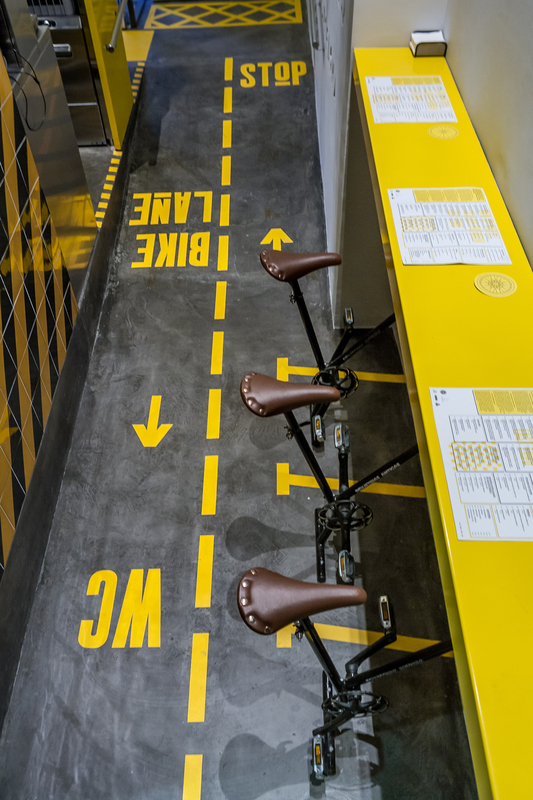 I would say that it is a simply perfect match between the idea and reality and the color yellow which is used in the right proportions emphasizes the fact that here is the fast food bar or restaurant (I even don’t know how to call it).